In 2014-2015, the Alley underwent a $46.5 million building renovation, the first major improvements since the building opened in 1968, including major improvements to the Hubbard Theatre, backstage area, and public spaces. The renovation was funded by private and public contributions to the Alley through the Extended Engagement Capital Campaign. Improvements included the installation of a new four-story fly loft, creation of a fully trapped stage floor allowing for an orchestra pit and actor and scenery entrances/exits, and a more intimate relationship between the audience’s seating area and the stage. New audience amenities included new seats, expanded restrooms and a new lobby space with a skyline view. With more than 500 performances annually, the Alley will produce more performances than all other performing arts organizations in the Houston Theater District combined. The Houston City Council granted the Alley Theatre protected landmark status on September 23, 2015. The Alley Theatre’s historic renovation of the Hubbard Theatre opened to the public on October 2, 2015 with One Man, Two Guvnors. 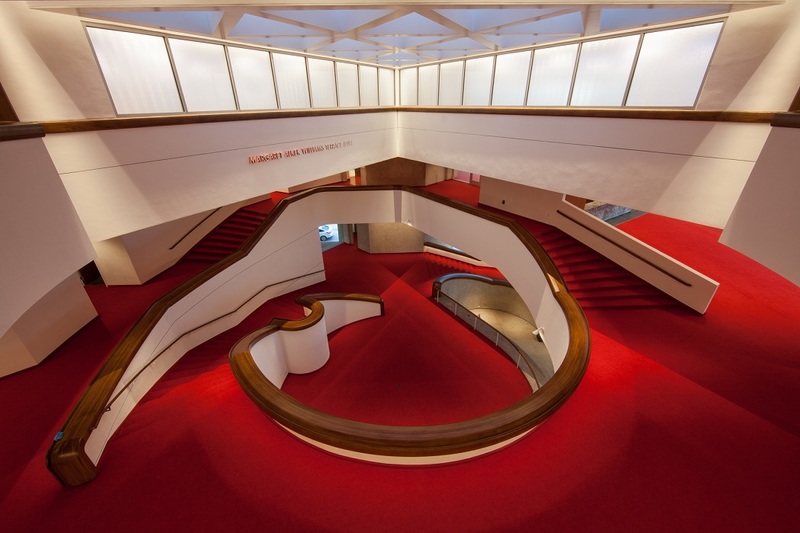 View Before and After photo highlights of the Alley Theatre's renovation. Photos by Paul Butzi and Bill Saltzstein, Empty Space Images.